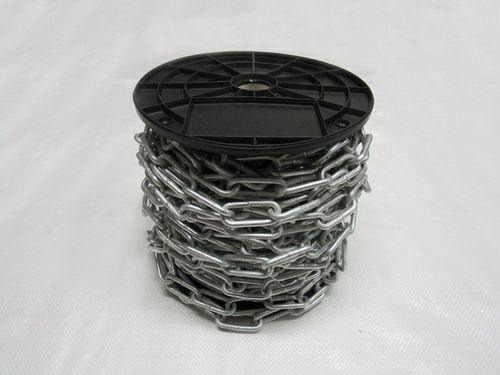 This Galvanised Straight Link Chain Is Great For Many Uses Such As Lifting. Galvanised To Protect From Corrosion. One Of Its Uses Can Be For Decoration. Suitable For Many Different Applications. An Example Of Its Many Uses is The Use As A Barrier. Galvanised Which Helps Protect From Rust. If you are looking for galvanised straight link chain for commercial or domestic use, look no further as you are at the right place. Here at SecureFixDirect we have learnt a thing or two about straight link chains and we are pride ourselves in being able to provide this chain in a variety of different sizes. Galvanised straight link chains can be used for multiple reasons including the use as a barrier or for running load applications. Whatever the reason you choose to use your galvanised straight chain link, you can be assured that you will get a high quality and highly durable product. Our items are also available at very competitive prices, which means we should be your first and only choice when you require a high quality chain link. With these chains being galvanised, you have the added bonus in knowing that you will have a product that will go longer without suffering from corrosion.If you are unsure about what you require then our comprehensive support service will ensure you make the right choice, as we can advise you about the best purchase for your needs. We want nothing more than to provide you with the best items, so don't hesitate any longer and make your purchase today. If you would like to know more about SecureFixDirect or any of the items in our store then get in touch with a friendly member of our team today.